Serial-blogger Jane has been watching Bargain Hunt again….. If you do an internet search on Clarice Cliff, eBay is regularly included in your first page of hits. Eminently collectable, the creations of this English ceramic artist employed innovative use of colour, design and shape, making her instantly recognisable works a feature of the Art Deco period. 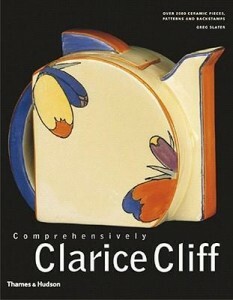 The Library holds several books on Clarice Cliff focusing on her career, such as Comprehensively Clarice Cliff, illustrating all patterns and shapes, from the strikingly coloured geometric patterns of her “Bizarre” style to more conventional floral designs. 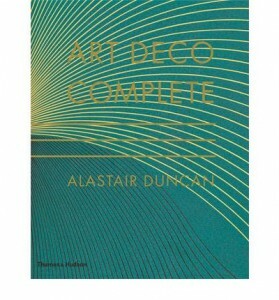 Art Deco Complete places Cliff in the context of the period more generally, and includes furniture, paintings and graphics, bookbinding, metal and lacquer work. 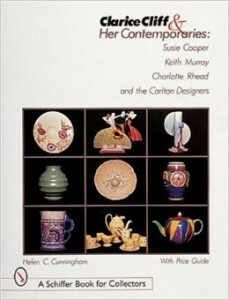 Clarice Cliff and Her Contemporaries includes other artists Susie Cooper, Keith Murray and Charlotte Rhead. Capturing a younger generation of afficionados, a class at Beaconsfield Primary School used her works to inspire their arts project, creating their own jugs and decorating them with designs a la Clarice. If, after perusing any of the above, you feel inspired to start your own collection, Carter’s price guide to antiques and collectables (available online inside the State Library building) lists recent sales. 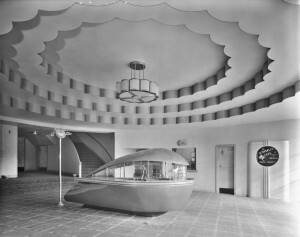 And speaking of Art Deco, a little something from our Picture Collection; it wouldn’t really matter what was showing……. 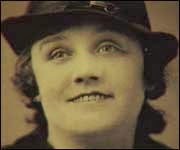 Lovely to see Clarice Cliff remembered Jane – no wonder her designs are so collectable.